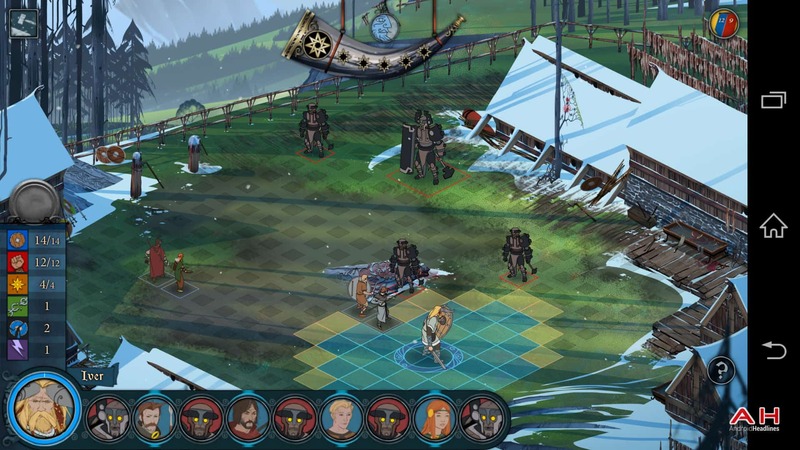 The Banner Saga is a tactical RPG title that throws you right into the middle of a gorgeous fantasy Viking Epic. With a story that will engage and immerse you into the adventures within, and a tactical turn based combat system that is delightful and challenging, this is one game that should be hard to pass up. 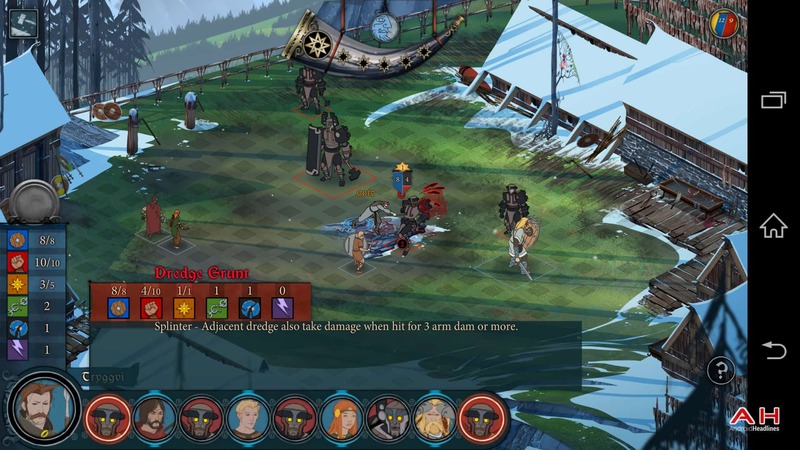 In The Banner Saga you will take over the roles of many different lead characters,(over 25 playable in all)in a world where alliances have been forged between humans and the giant race known as the Varl, who had been fighting alongside each other to beat back the Dredge, a Colossal armor clad clandestine enemy of the Varl. 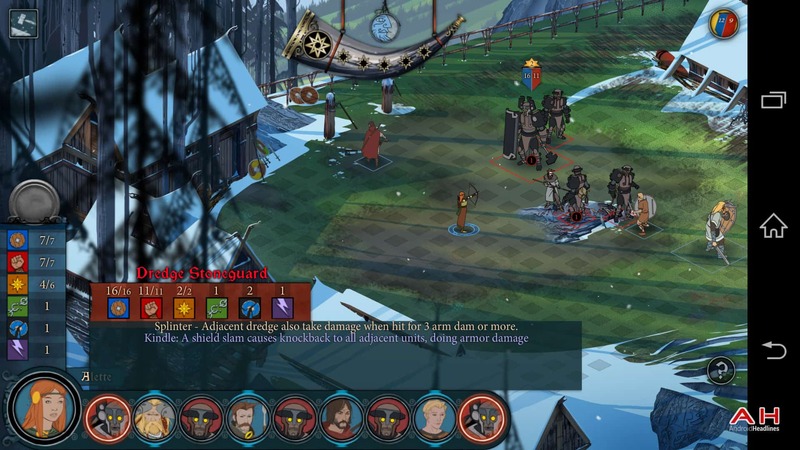 In addition to a huge cast of playable character the Banner Saga is largely player influenced, giving you the ability to change the outcome and story of the game based on decisions and choices you make throughout. Choices you make also affect the possibility of battle engagements, so choose wisely. 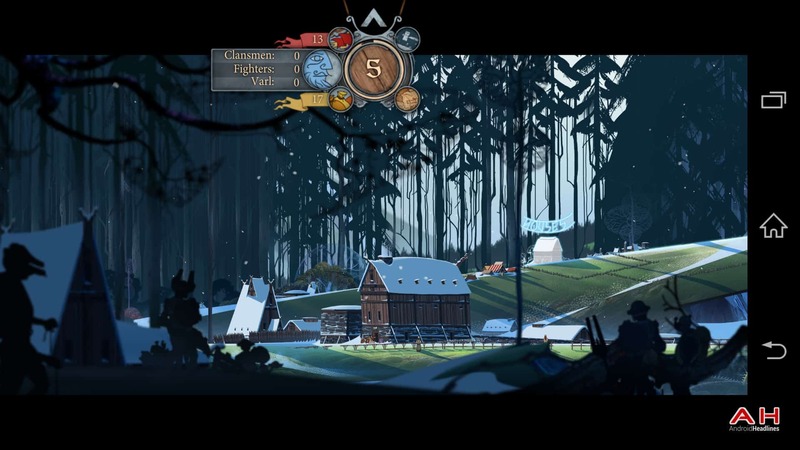 The Banner Saga is heavily story driven with a large amount of narrative paired with the gorgeous hand drawn art style of the visuals. 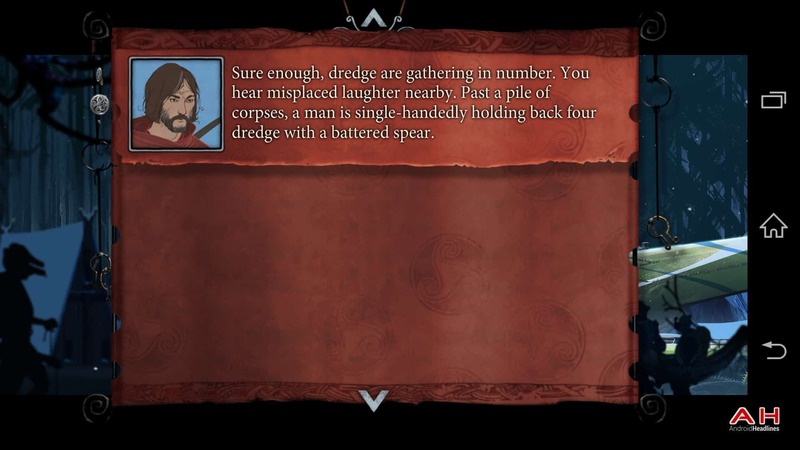 This meshes nicely with the strategic tactical combat where victory rewards you with stat points called “Renown” which allows you to upgrade the skills and abilities of your characters, and promote them to higher levels. When you enter battle you will also sometimes have the ability to pick your roster order, meaning you can switch and alter the locations of your character’s starting origins on the combat map. Who you choose to go into battle and what moves you make will also play a big part into how the battle ends. You can lose your characters if you’re not careful, although if they simply get injured in battle they can rest up over the course of a couple of days. (in game time of course, not a full two days)You can also upgrade your weapons and other items, and there’s plenty of lore and backlog story on the different locations around the world map, which adds a certain depth element to the game. 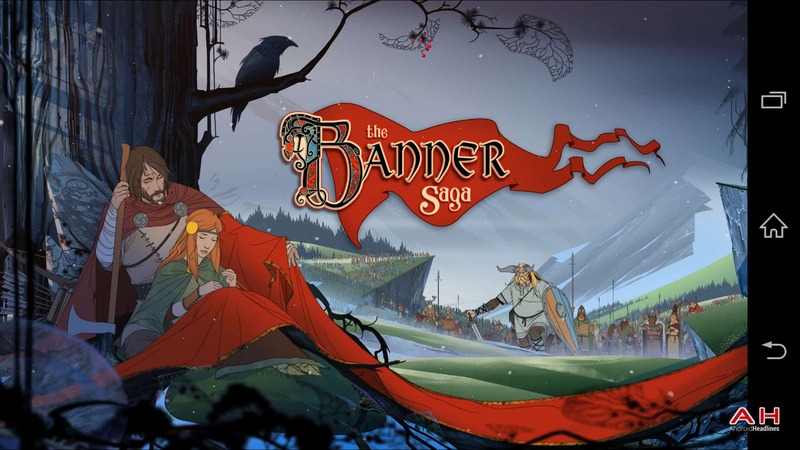 If you haven’t already checked out The Banner Saga, now is the best time to do so since it’s on sale for half off at $4.99. It normally costs $9.99 so jumping on the deal asap is recommended. 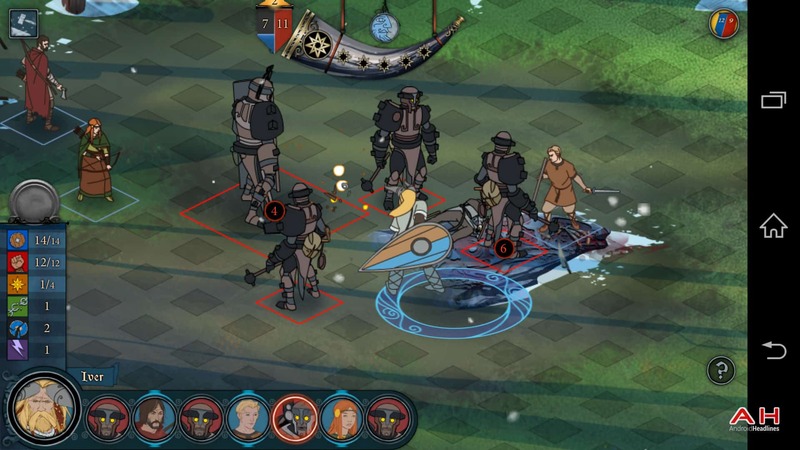 The post Android Game Of The Week: The Banner Saga appeared first on AndroidHeadlines.com |.